“On this day, we call for teachers to receive supportive environments, adequate quality training as well as ‘safeguards’ for teachers’ rights and responsibilities…We expect a lot from teachers – they, in turn, are right to expect as much from us. This World Teachers’ Day is an opportunity for all to take a stand.” – Irina Bokova, UNESCO Director-General. 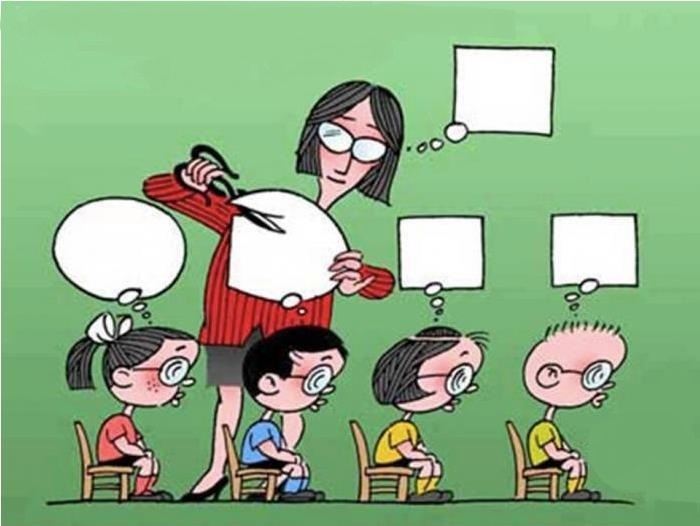 The teacher can mould or trim the minds of students. The World Teachers’ Day was established in 1994 by UNESCO. UNESCO and its partners, the International Labour Organization, UNDP, UNICEF and Education International (EI) have the slogan “Take a stand for teachers!” for celebrating World Teachers’ Day 2012 on October 3, 2012. According to UNESCO, the teaching profession is losing its status in many parts of the world. “World Teachers’ Day” calls attention to the need to raise the status of the profession, to acknowledge the crucial role teachers play in building the future. Why take a stand for teachers? According to UNESCO the profession is losing its status in many parts of the world. World Teachers’ Day calls attention to the need to raise the status of the profession – not only for the benefit of teachers and students, but for the society as a whole – to acknowledge the crucial role teachers play in building the future. Having been a teacher, I can vouch that a guru can trim, shape and mould or maul minds the way they want. In present times, in many countries, people celebrate Teachers’ Day as a unique day to appreciate their contributions within the field of teaching or for their service to their community. During the 20th century, the concept of celebrating Teachers’ Day took root independently in many countries. Unlike other International days on “Teachers’ Day “people celebrate a local educator who happens or happened to be a milestone in education. Since 1962, India celebrates Teachers’ Day on September 5 on Dr. Sarvepalli Radhakrishnan’s birthday – a philosopher, statesman and the second President of India from 1962 to 1967. Since 1915, Argentina commemorates the death of activist, intellectual, writer, statesman and its seventh President, Domingo Faustino Sarmiento on September 11 as its Teachers’ Day. This is the primary reason why countries are celebrating this day on different dates. The following countries celebrate Teachers’ Day during the month of October. Azerbaijan October 5 Between 1965 and 1994, the first Sunday of October. Since 1994, on October 5. Brazil October 15 A decree regulating the elementary schools in Brazil. The celebration gained popularity throughout the country, and October 15 was officially designated Teachers’ Day in 1963. Bulgaria October 5 October 5 was recognised as Teacher’s Day by the government on September 29, 2006. Chile October 16 In 1967, September 11 was chosen as “Día del Maestro” (“Teacher’s Day”). The date was moved to December 10 in 1975, because on that day in 1945, the Chilean poet Gabriela Mistral received the Nobel Prize. In 1977, the date was renamed to “Día del Profesor” (also “Teacher’s Day”) and was moved again, to October 16, to honor the founding of the Colegio de Profesores de Chile (Teachers’ Association of Chile). Lithuania October 5 Between 1965 and 1994, the first Sunday of October. Since 1994, on October 5. Russia October 5 Between 1965 and 1994, the first Sunday of October. Since 1994, on October 5.